This fall collection has the scent of the yummiest fall apple you have ever had, plus cinnamon, clove and vitamin packed. 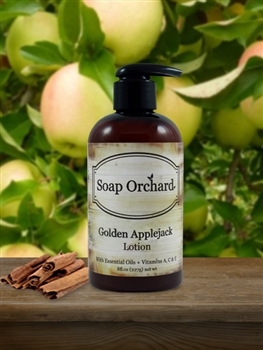 It was inspired from the wonderful variety of apple orchards afforded to Soap Orchard in our home state of Washington. Apple, full of Vitamin’s A, C and Zinc, which are all essential for glowing, healthy skin. Calendula is an emollient and can help moisturize dry skin. Comfrey contains a substance called allantoin, a powerful soothing agent that promotes the growth of new skin cells.